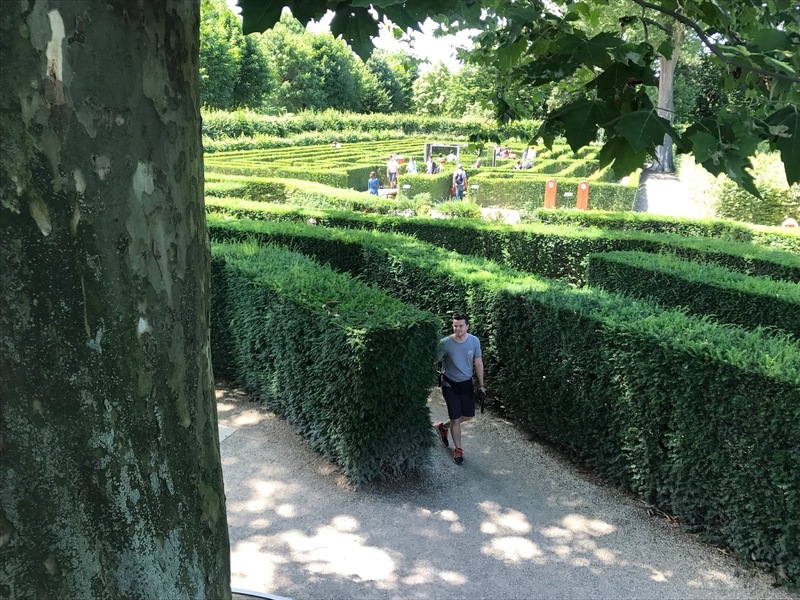 With our Vienna Pass* booklets and guides, we planned out our second day here in Vienna, and our eyes were immediately caught by the words maze, and apple strudel show. 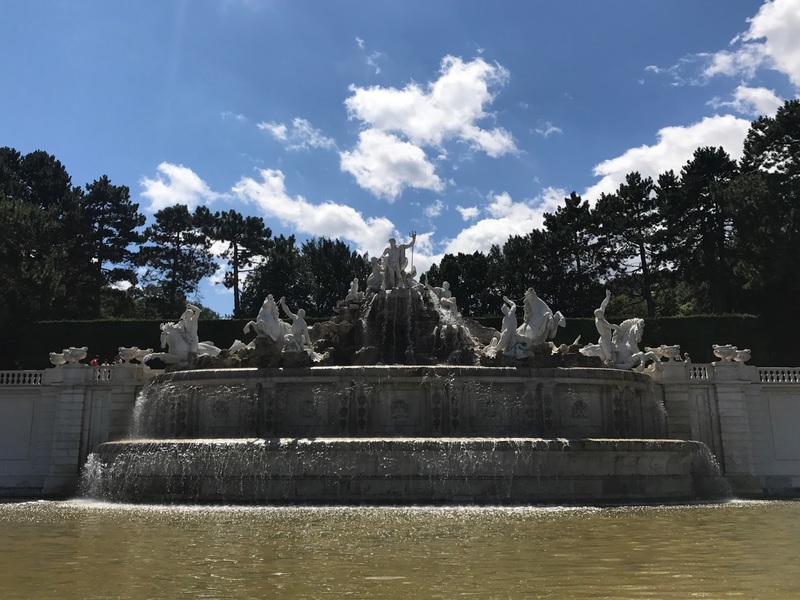 Luckily, they were both within the grounds of the beautiful Schönbrunn Palace, which is actually very close by to where we’re staying. 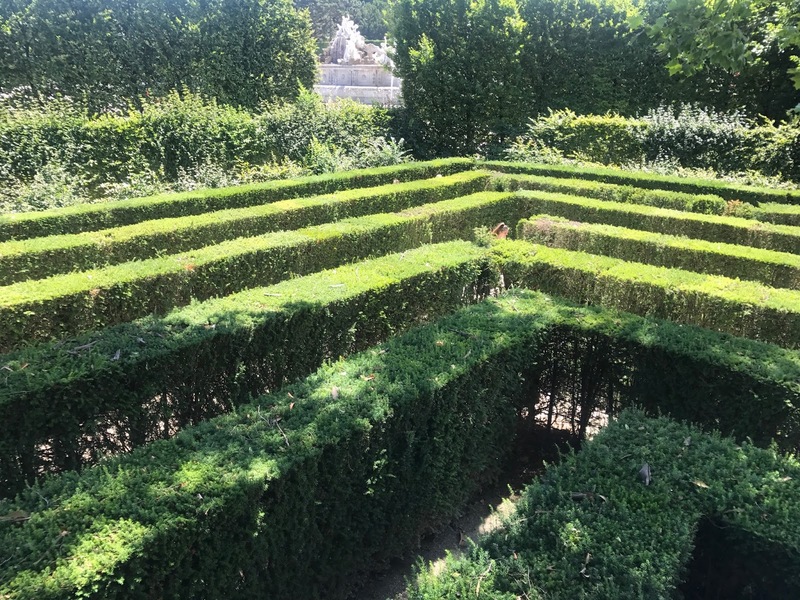 With the palace being one of the best attractions in the city, we made the most of our time here by strolling around its stunning gardens and grounds. 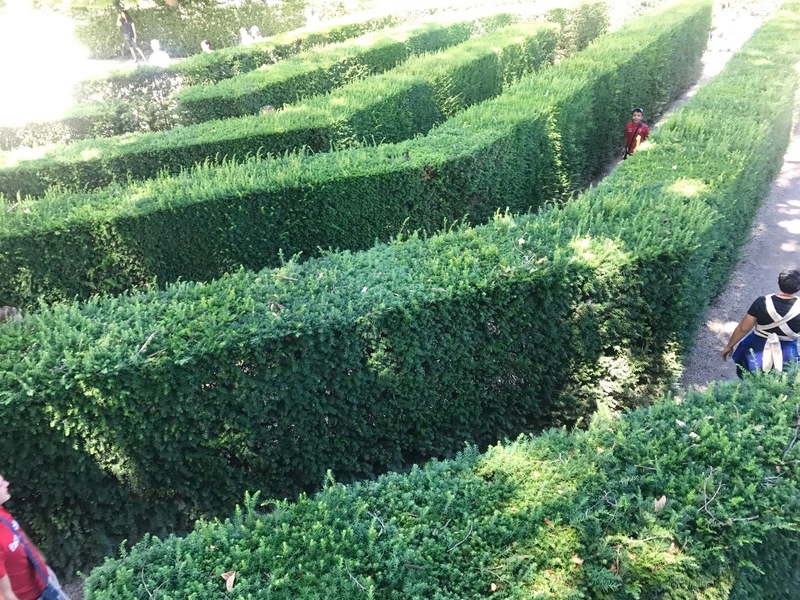 Following our walks around the Privy Garden and walk up towards the amazing fountain and sculptures, we took on the mission of the maze. It was free with the Vienna Pass, and as they always seem to, it looked simple and quite small from out the outside, but as soon as we were in, there was no way back out! Maybe taking us half an hour or so to figure it all out, we managed it in the end without getting too frustrated! We couldn’t think of a better way than rewarding ourselves for getting out of the maze than getting some apple strudel! But not only would we be tasting it, but being taught how to make it in one of the cafes within the grounds of the palace. The dough tossing, flipping and moulding skills on show were astonishing! Again we had free entry and mini taster with the Vienna Pass. Your travel posts are making me seriously jealous! This looks like a wonderful day and the photos are stunning and the apple strudel looks YUM!